For an Emergency Electrician, Sutherland Homes Contact Paul’s Electrical Services! Almost every home today runs on electricity. From your lights and stove to your air conditioner and your television, electricity is a crucial component of your home. 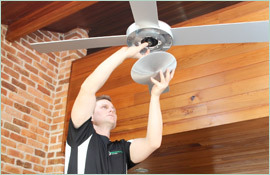 So when you need something done with your electric system, it doesn’t matter if it is something simple like installing a ceiling fan or it is something major like repairing a blackout – it is important to get it done correctly. Whether they need to hire an electrician for an installation or minor repair, or in need of an emergency electrician in Sutherland, residents can count on Paul’s Electrical Services to do the job right the first time. 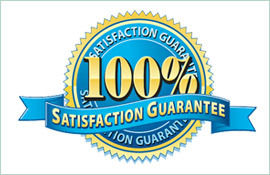 Our expertly trained technicians are fast and efficient, and will get the job done for our customers every time. When our technicians come out to do a job, they will come out with a fully loaded, professional work van, with all of the tools and supplies needed to do the work correctly. 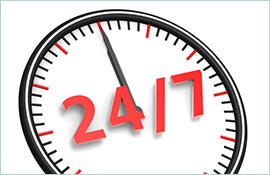 Paul’s Electrical Services is available for customers 24/7. It doesn’t matter if it is one in the afternoon, or one in the morning, if you have an emergency, we will be there to fix it. Our tradesmen have years of experience and will be there quickly to solve your problem. We are also available for installations and provide services for: power points, ceiling fans, fault finding, sensor lights, LED Lights, lighting features, switchboards, power poles, surge protection and more. 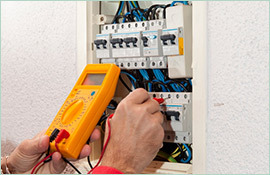 We are always available for emergencies and our residential electrical specialists will always find your problem. Anytime you need an emergency electrician, Sutherland residents can count on Paul’s Electrical Services. Available day or night, our tradesmen will always provide you with quality service and do the job right, the first time.